If you haven’t yet had the pleasure, it’s never too late. Nor does it need to be a one off! There are many famous characters to inspire you to bring out your inner pirate. By no means are all pirates the same, so you can take your pick from a long list of notorious sea thieves. What did pirates actually do? Between 1700 and 1725, the ‘Golden Age of Piracy’ reigned. During this time, hundreds of pirate ships cruised on the world’s waters in a bid to hijack unsuspecting non-navy ships. They wanted many things: ship materials, tradable goods, weapons, tools and medicine. Pirates even wanted food, alcohol, human slaves, and of course what they’re most famous for – treasure in the form of precious jewels and metals. They kept parrots for company, and wielded their mighty swords and pistols unscrupulously. In the movies, this rowdy lot are generally depicted in with peg legs, hooks for hands and eye patches. They also tend to have unruly matted hair, shirts, sashes, heavy-duty jackets and black skullcaps with skull and crossbones. 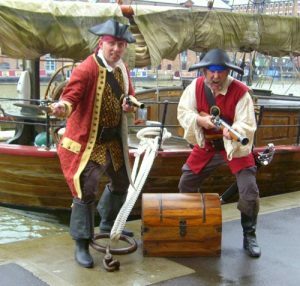 Pirates aren’t one-trick-ponies on the wardrobe front, though; they liked a bit of variety, dependent on their era and activities. Some wore cut off trousers with sashes, while others wore frilled shirts, or striped trousers. Some even sported flash jackets with gold trim – possibly the yields of their hijacks. Which pirates are worth emulating? 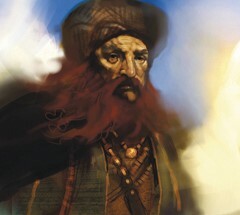 Barbarossa was a Muslim pirate, and his name meant ‘Red Beard’; a nickname given to him thanks to his red hair and beard. He was known for bringing together a huge army of pirates. In 1517, together they captured the city of Algiers in North Africa. Barbarossa was then appointed Governor of Algiers by the Sultan, and given control of the Western Ottoman Fleet, enabling him to go out and plunder with reckless abandon. His victims were European crews whose ships he systematically destroyed until they were no longer sea-worthy. If Barbarossa sounds like the pirate for you, you’ll need a few items to be convincing. First up is his red beard and long red locks. He has been seen in a wide-rimmed black hat, fancy undershirts and a long, heavy pirate jacket. He was fond of a sash and wore his scabbard with pride around his waist. A looted neck chain or two wouldn’t go amiss either. 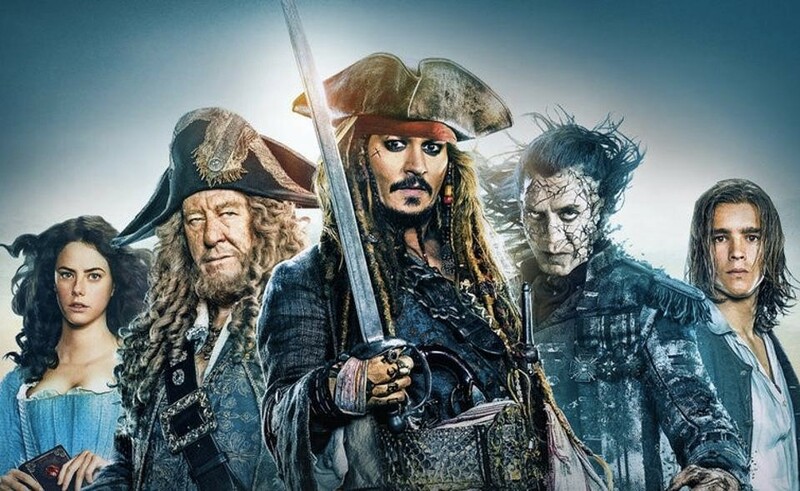 Legendary Seven Seas pirate Jack Sparrow is one of today’s most notorious pirates. Made famous by the Pirates of the Caribbean films, his personality is one of his most notable aspects. This trickster had questionable morality and spent plenty of his time completely wasted. 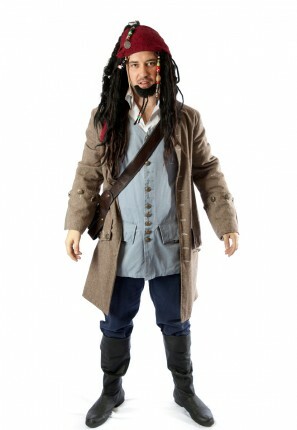 Jack Sparrow was incredibly self-absorbed and always blowing his own trumpet. He’s known for his struggles with such issues, and also for his love of the oceans and his formidable ship, the Black Pearl. Jack Sparrow might be the one for you if you love a few beers and want to throw your morals out of the window for a night. Do so at your own risk, mind! Sparrow’s wardrobe contained a long burgundy jacket and leather trousers. His dreadlocks are enviable, and his eye patch creates intrigue. He was smart in a white shirt, and accessorized with boot covers and a curved sword. Sparrow was fond of a little black eyeliner too, as demonstrated in his smoky glowers. Way back in 1770, the British HM Bark Endeavor became the first European ship to land on the shores of Australia, close to Sydney. 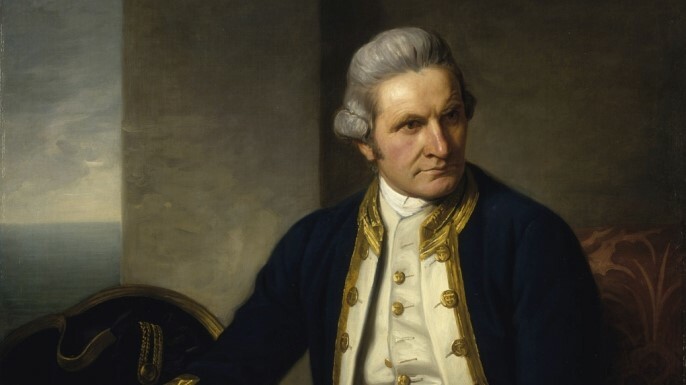 The pirate behind this feat was Captain James Cook, who is now famous for circumnavigating the world twice over. No stone was left unturned by this wily captain – exploration was his game, and he even managed to navigate the dangerous terrain of Antarctica. His findings are the inspiration behind many of today’s maps. However, mistreating Hawaiian natives brought him an early death. 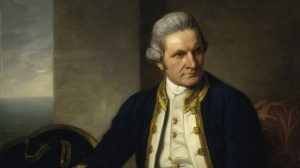 Aussie history can be brought to life through your reincarnation of Captain Cook. He often wore a black naval shirt with epaulettes, a white shirt with a bow tie, black pants and knee high boots, and his trademark bicorn hat. How suave! Peter Pan seems to be known by pretty much everyone. This impish character roams around with his group of ten kids and a fairy. He loves an adventure, and is unfazed by challenges of all kinds. He never learns from his mistakes, living in total oblivion to them. He’s not alone in these adventures; aboard the Jolly Roger you can find the Neverland pirates – best known are Mr. Smee, and Captain Hook, a temperamental, vengeful pirate who is also charming and smart. Peter Pan has dark brown hair worn in a ponytail and wears a green, elf-like costume consisting of a green top, pants and tunic, belt, hat and sword. Captain Hook wore a luxurious red jacket and frilled shirt with black pants and white stockings. He had a pirate tricorn hat and black curly mane. Naturally Captain Cook’s costume wouldn’t be complete without that notorious hook. Pirate ladies, it’s not all about the men; you’ve got an interesting wardrobe too. Think frilly shirts, leather bodices, silky pants and enticing gold-trimmed hats. Swit swoo! It’s time to turn your home into a ship and get the crew round for a night of looting and liquor swilling. 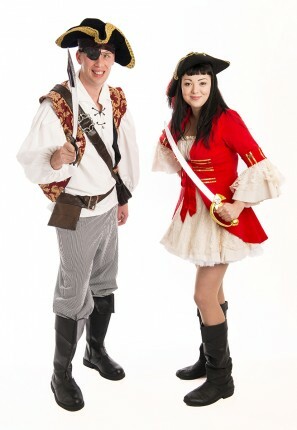 Don’t forget to come to Creative Costumes for all your pirate costume and accessory needs!